A high-quality LCD display is essential for fully addressing end-customer use cases. Displays with defects and cosmetic flaws can only hurt your reputation with your customers. 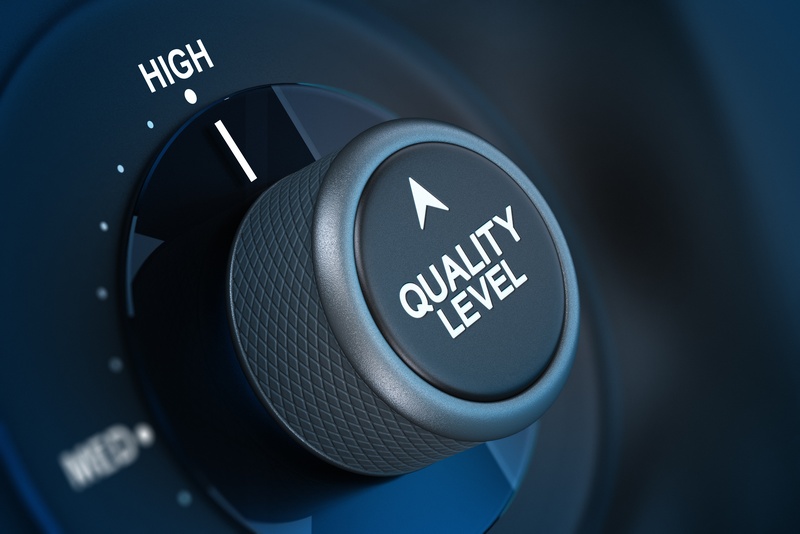 However, the term “quality” is often confused with “performance,” which can lead you to ask the wrong questions in your purchase decisions. In this post we explore the difference between these two terms and answer the question, What makes a high-quality LCD display? Performance is actually an area of quality that is focused on display aspects that the customer can see and interact with. On the other hand, quality is about the manufacturer’s ability to meet agreed to specifications. It’s about defining what the product is supposed to do, then building the product to do that consistently. Cosmetic — On the surface, this includes items such as spots, scratches, missing pixels, LCD glass colors, pixel, or backlight color, and other noticeable, physical defects. On a workmanship level, there could also be poorly soldered joints or wrongly assembled components. Electrical — Is the product operating at the right voltage? Is the LCD being over driven or under driven, Is it drawing the right amount of power? Performance — Example aspects include operating temperature, LED lifetime, response time, reliability, contrast, brightness, viewing angle, and color gamut. Beyond these areas, customers may have special requirements involving drop-test criteria, electrostatic discharge (ESD), and specific mechanical limitations. Creating a high-quality LCD display implies that all quality requirements are met. To accomplish this, the manufacturer needs to have a well-defined quality assurance (QA) process. It’s how to consistently meet the quality requirements. Qualification — This is the initial testing of the product for every performance aspect, including contrast, vibration, temperature cycle, etc. Sampling — To ensure consistency, it’s important to test a pre-determined selection of displays. Depending on the sampling plan, this may be completely random, include every lot, or some other sampling method. In addition, the aspects tested for the samples could include every requirement or only a select few. Final Assembly Test — After the display is fully assembled, what is being tested—functionality, cosmetic defects, voltage, all of these areas? This is often determined by the product, as some require more rigorous testing than others. Process – What is the documentation, training, tools to ensure that each step of the manufacturing process is as simple and as consistent as possible. And what additional process are put in place to ensure that each display produced consistently meets the original design specification. There could also be testing throughout the manufacturing process. For example, at PDI, we test 300%—including tests along the manufacturing path to catch any defects early on and avoid adding value to bad parts, as well as burn-in tests that entail running displays for a certain amount of time at higher temperature to catch any latent defects. 1) What is the expected defect rate for your desired type of display? 2) What is the manufacturer’s test process? — i.e., What is tested? How are they tested? And how often are they tested? 3) What is the manufacturer’s return merchandise authorization (RMA) process? — i.e., What happens when there is a defect Who pays for the product and shipping? What are the responsibilities on both sides? Will there be a corrective action put in place for every defect, or is there a defect-rate threshold that needs to be reached first? Delivering high-quality products is important for maintaining good, long-term relationships with your customers. And that starts with ensuring your manufacturers are producing parts that meet your quality requirements, which means getting clear answers to the questions we described above. Need a new supplier that understands your unique display needs and can produce custom displays that address them? Let us help. Contact us.